THE three-year wait to reopen the Scenic Highway at Statue Bay is almost over. 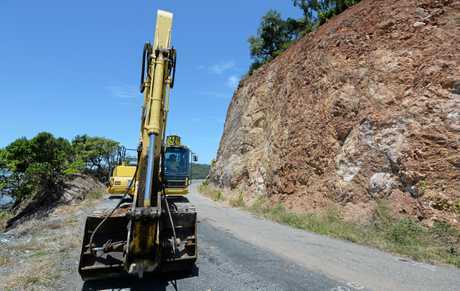 The important link road for the Capricorn Coast has been closed since Cyclone Marcia devastated the site in February 2015 and repairs have been delayed by repeated weather events and engineering difficulties. The road is now set to open to the public by mid-July after final touches such as guard rails and handrails to protect users of the new cycleway/footpath are put in place before a final seal on the two-way road is laid. 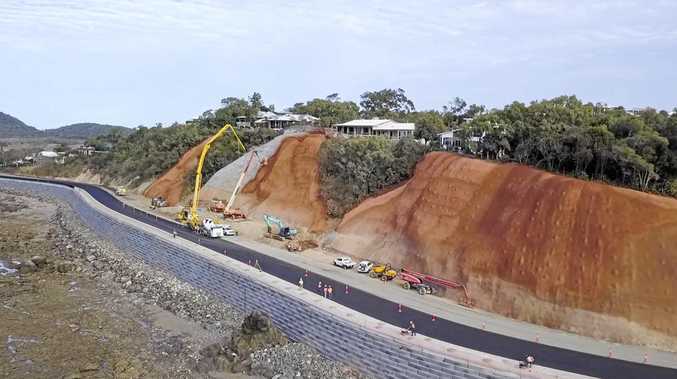 Livingstone Shire Council reported the final stages of works on the Scenic Highway Reconstruction Project at Statue Bay are continuing to progress well, with almost all of the major construction works near completion this week (the final cost has yet to be determined but previous estimates put it at $22 million). Mayor Bill Ludwig said completion of the major works will mark a significant milestone for the community in our long-term recovery from the devastating impact of Cyclone Marcia in 2015. "This has been one of the most challenging engineering projects in the history of Livingstone Shire and everyone involved in helping to achieve the final outcome must be commended," Cr Ludwig said. "Importantly, council's decision to undertake and oversee completion of the project in March this year played a key role in helping ensure that works continued to advance expeditiously in order to meet the required timeframes under Natural Disaster Relief and Recovery Arrangements for funding. "It was imperative for council to complete as much of the eligible approved NDRRA works as possible by June 30 and that has been achieved with better than 99.6 per cent of those works substantially completed despite the added challenges of significant wet weather events. 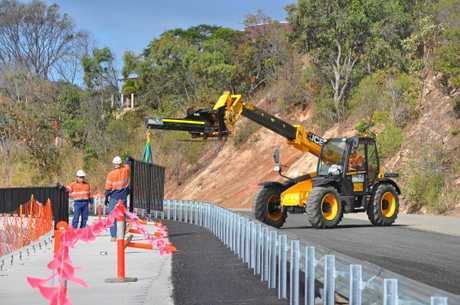 "Works completed included the final stages of the block revetment wall, stabilised road embankment as well as the remaining drilling, soil nails and shotcrete surfacing the upslope cliff stabilisation zones, road widening and concrete footpath/cycleway. "Minor outstanding works to be finalised are largely council-funded and include placement of the remaining balustrade rail, placement of concrete barriers, installation of signage and line marking. "Council would like to acknowledge the efforts of its key staff, subcontractors and suppliers in maintaining the construction program. 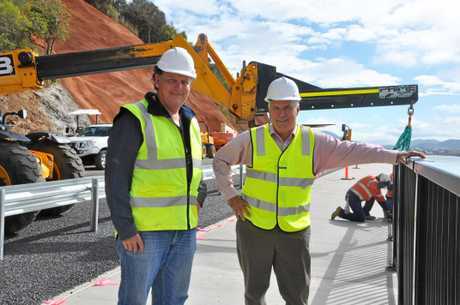 "The continued patience of residents and motorists during this massive infrastructure rebuilding project has been greatly appreciated and, subject to weather, council looks forward to having the Scenic Highway re-opened to traffic by mid-July," Cr Ludwig said. 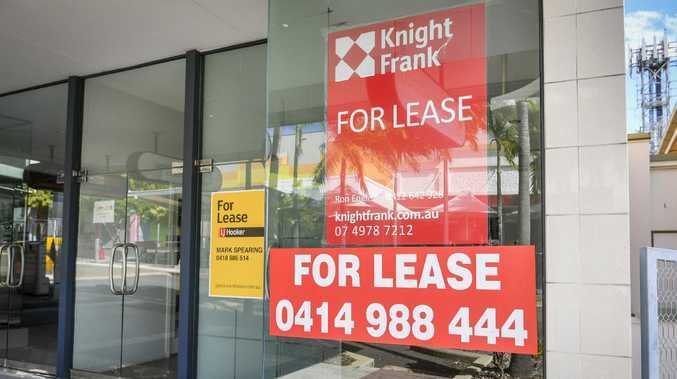 Eligible works will be jointly funded by the Commonwealth and Queensland Governments under the NDRRA.